Provide comfort for the family of Anna Fidalgo with a meaningful gesture of sympathy. Anna “Nena” (Monteleone) Fidalgo, 92 of Pittsfield, MA died on Wednesday, March 27, 2019 at Melbourne Place in Pittsfield. She was born in Pittsfield, MA on September 11, 1926 a daughter of Anthony and Rose (Flossic) Monteleone. 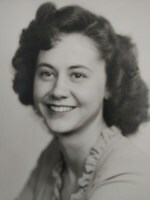 Nena attended local schools and graduated from Pittsfield High School in 1944. She went on to own and operate the William Henry Inn restaurant in Lenox MA. Nena was the widow of Alfred Silva Fidalgo, whom she married January 31st 1977. He predeceased Nena on August 12, 2015. Nena will be sadly missed by her loving sister Catarina Frieri of Pittsfield MA, two sons David Fidalgo and his wife, Sandra of Merritt island FL, Thomas Fidalgo and his wife Doreen of Ludlow MA, and nephew Michael Frieri and his wife Patricia of Irving Texas. To send flowers in memory of Anna "Nena" Fidalgo (Monteleone), please visit our Heartfelt Sympathies Store. Nena will be remembered at a private family service. Provide comfort for the family of Anna "Nena" Fidalgo (Monteleone) by sending flowers. I met Anna through her sister, Catarina, who peddled the bike next to mine at the Pittsfield YMCA and shared her love of books as we rode along. Anna and Catherine also enjoyed breakfast at Joanne's Elm St. Luncheonette where we would often say hello to them after our time at the Y. "I don't know what I'm going to do without my sister. I've known her for 93 years," was the sad news Catherine shared last week. They were blessed to have been so close for so many years. I am very sorry for your family's loss. May Anna rest in Peace.